ZTE to deploy over 30 Commercial Demonstration Bases in China to foster LoRa Technology IoT innovation. China LoRa Application Alliance (CLAA) To Deploy 1st China LPWAN. 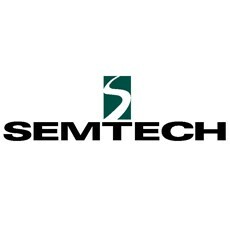 Semtech CEO delivers opening address. Semtech Corporation, today joined ZTE Corporation, today to formally announce the launch of ZTE’s first Internet of Things (IoT) Demonstration Base (CLAA IoT Demonstration Base) dedicated to LoRa Technology in Nanjing, China. The CLAA IoT Demonstration Base allows IoT solution providers to deploy and test their applications over a low power, wide area network (LPWAN). ZTE plans to deploy over 30 Commercial Demonstration Bases across China by the end of this year. 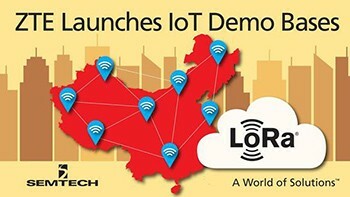 The unveiling of the IoT Demonstration Base was made at the 2016 China LoRa IoT Summit (CLIS), where more than 600 attendees from over 300 companies were on hand to celebrate the announcement and view dozens of use cases on display for a wide range of IoT solutions, including smart city, smart park, agriculture, industrial, metering, and other applications. Mohan Maheswaran, Semtech’s President and Chief Executive Officer delivered the opening address at this event. The China LoRa Application Alliance (CLAA) is a cross-industry, cross-department national organization participated in and built by IoT application and innovation entities in various industries. The CLAA IoT Demonstration Base initiative is the result of a cooperative formed amongst solution providers, government agencies, and educational institutions to standardize the development of IoT applications in China around the LoRaWAN™ protocol from the LoRa Alliance™. The initiative aims to provide LoRaWAN-based, carrier-level networks that all members of the cooperative can use to deploy and test their IoT applications. The cooperative also provides a supportive environment in which its members can work together to troubleshoot issues, develop new innovations and accelerate the adoption in China of IoT solutions based on LoRa Technology. “IoT has tremendous potential to improve the quality of life for the citizens of China,” said CLAA secretary-general Mr. Liu Jianye. “ZTE has done a remarkable job in building the IoT Demonstration Base in Nanjing, and we are honored to have been invited to speak at the China LoRa IoT Summit to formally launch the site,” said Marc Pegulu, Vice President and General Manager, Wireless and Sensing Product Group at Semtech. Semtech and ZTE are members of the LoRa Alliance, a group of more than 400 companies committed to driving and enhancing the LoRaWAN specification to ensure interoperability and scalability of LPWANs and IoT applications. Through its work with member companies and IoT industry groups, the LoRa Alliance is making LoRaWAN the standard for LPWANs focused on low-power, long-range IoT applications. To date, there are LoRaWAN public and private networks in more than 50 countries worldwide.